And while we still don’t have the stereo 3D support in any of the mentioned above devices, we got an announcement from PopBox who are saying that they will ship their PopBox devices 3D-ready at launch (they are based on Sigma Designs media processors), so consumers will be able to enjoy 3D content on all 3D-ready HDTVs. 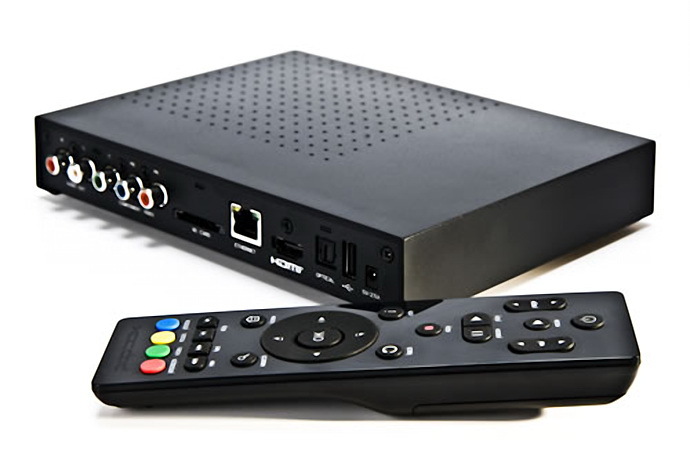 The PopBox devices make it simple and affordable to play all the movies, music, home videos, and photos from your home PC, network-connected devices, and content streamed from the Internet, on your High Definition TV. PopBox is expected to be available very soon, and is currently available to pre-order at Amazon.com . PopBox has retail price of $129.99 for the normal version, without WiFi, and the PopBox Wireless model is available for $149.99. Considering that the PopBox builds on the success of Syabas’ Popcorn Hour lineup of Network Media Tanks, the Popcorn Hour A-200 and C-200, all Popcorn Hour A and C series devices will also have access to the RealD 3D Format to enable the support for stereo 3D video playback on compatible 3D-ready displays, but they will need a free firmware upgrade to get that additional functionality. And we are most likely not going to have to wait much longer after PopBox hits the market and we get an update for PopCorn Hour in order to see other manufacturers of similar products based on Sigma Designs’ media processors to start adding stereo 3D support.